Wow! This natural crystalline gold from Australia is spectacular. It has a textured crystalline surface, and under magnification with a loupe you can see a few partially formed gold crystals, a rarity to see from Australia. 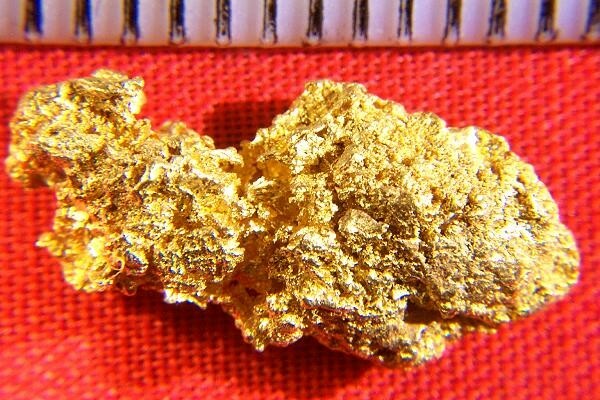 Other gold nuggets found in the same gold field as this nugget were assayed at 97.6% pure, which is extremely pure for natural gold. 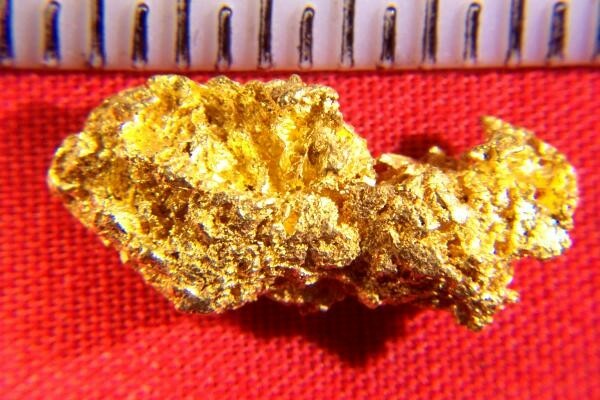 This spectacular raw gold specimen weighs 3.42 Grams (52.8 Grains) and the size is 3/4" (18 mm) long. Found in the Palmer River Goldfield in Queensland, Australia by a gold prospector using a a metal detector, this raw gold has beautiful color and texture and it comes with a certificate of authenticity.